If you ever try to polish your car by hand you will find that your car polish is defective, but in fact it is not effective. The problem is with the paint of your car. Now-a-days the automotive paint finishes has become much harder than ever before as a result of which it helps the paint to last longer on your cars. It helps the paint against physical damages. But the revolution in paint technology has created new problems for car owners as they are unable paint their cars on their own because they have to buffer polisher before they begin painting. 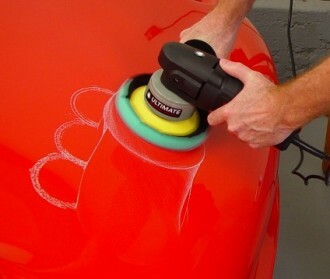 The good thing about the polishing is that you have got electric buffing machine to polish your cars. A good example of a great electric buffing machine is the Porter Cable 7424. It is a very effective machine which is used by Mercedes-Benz. These are dual action polishers; the head of these machines rotates and revolves around the center spindle and this action is referred to as random orbital. With the help from Porter Cable 7424, you can buff and polish your own car on your own without any prior experience and also without damaging it. The motions of electric polishers’ works just like the motion of circular hand polishing and it can make about 2500 to 6000 circles in one minute. The 7424 machine really work well. You will surprise to see that even small machines like these can work at a great speed and that to with great quality. It never gets tired like a human being. The electric polisher works far better than the waxing machines that are used to fix minor scratches on the paint surface. Those waxing machines hardly can fix the damage and restores shine. But while using a powered polisher, you should choose the right polish pads for your car. These pads usually come in three grades: cutting, polishing and finishing. All these three pads are used for removing damages, restore gloss and to apply waxes and glazes. These pads are very soft and the correct pads must be used during different polishing job. If you ever feel a scratch on your car with just your fingernail, it is suggested to remove it by using sandpaper before you start polishing. Now you may be confused about which is the polish that could be used to fix the scratch. Here’s my recommendation, you can use Meguiar’s Ultimate compound. This product can be found quite readily in the market. Once you are done with polishing your car with this product, it will leave a hazing in the clear coat and this coat can be removed by polishing with the Porter Cable 7424. This process will give your car a mind-blowing shine you can’t even imagine. If you are thinking of getting the Porter Cable 7424 electric polisher, click on the button to the right and make your purchase from Amazon.com right now.